Formed in Germany in 1989, Frontline's career got off to an ambitious but rocky start. Their debut album, 1994's The State Of Rock charted well and was well received, especially in Japan. The following year, Frontline dropped an acoustic album, Two Faced. But after this personnel changes rattled the band. Regrouping with some confidence, they recorded Heroes, offering Man In Motion as the first single. Unfortunately, it was only released in Japan as Frontline's European label went belly up. 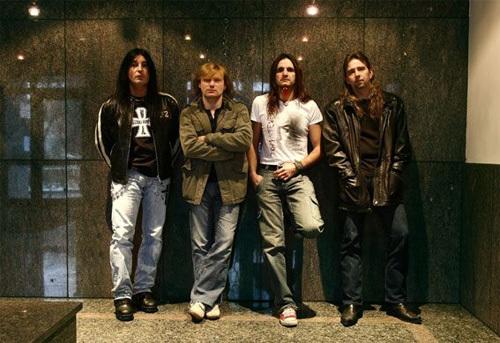 Dash to the 21st century where AOR Heaven signed the band which went on to release six albums between 2000 and 2010. Now, better than 20 years later, AOR Heaven brings Heroes to the European theater and the world as a reissue. The recording has been re-mastered by founding guitarist Robert Bobel. 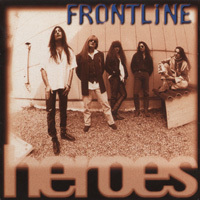 Essentially, with Heroes, Frontline was trying to keep the spirit of Eighties classic rock alive in the face of the grunge rebellion. Their sound is pure AOR melodic hard rock with a strong vein of West coast smoothness. With this in mind you can expect the usual musical suspects in most every Frontline song: clean and melodic lead vocals, fine guitar harmony and killer leads, strong rock groove from the rhythm section, and touch of keyboards for accent. For the songs, you'll find some slick catchy rockers with Our Love, Someone To Love, Tonite We Set, and the faster On The Run. Some songs can be a bit misleading. For instance, Pain Will Last Forever moves with slow, steady, and lighter groove through the first half or so and the first guitar solo. Then, as the chorus continues, the guitar riffs get heavier and the solo more blistering. Alternatively, you get some of that West coast breezy smoothness in the ballads Get To You and Moving Closer. I did have some doubts about choosing Man In Motion as the first single. I didn't find it all that interesting, and it's too long. But being too long could be said for most all of the songs here: 20 to 35 seconds could have been trimmed off any song four minutes or longer. Nevertheless, Frontline's Heroes is a fine album of classic AOR melodic hard rock which all fans of the genre will enjoy. It's good that it's seeing the light of day once more. But AOR Heaven is only making 1,000 copies, so make haste if you want to grab yours. Recommended. Note about the video: the song below is not on this album. I simply wanted to give you a taste of Frontline. Frontline's Heroes is a fine album of classic AOR melodic hard rock which all fans of the genre will enjoy. It's good that it's seeing the light of day once more. But AOR Heaven is only making 1,000 copies, so make haste if you want to grab yours. Recommended.